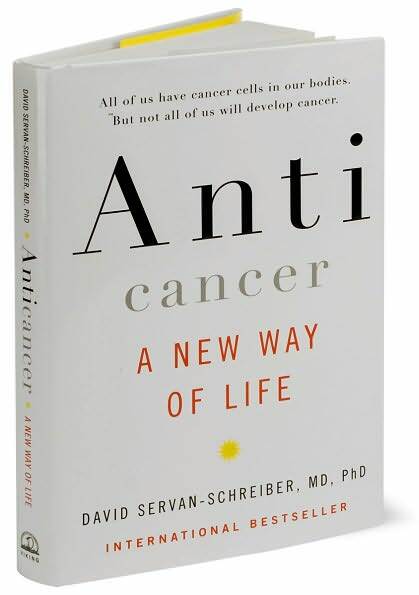 This book, Anticancer, A New Way of Life, New Edition , arrived on our doorstep a week or so after my husband’s diagnosis. It was sent to us from a friend, a breast cancer survivor, who had just heard the news through the grapevine. For this I will be forever grateful, as it marks really the beginning of our path to self healing, not only for my husband, but for our entire family. Written by a scientist and doctor who was diagnosed with brain cancer, it spoke to my husband from the very first page. It gave me a detailed road map as to how I could structure our diet to harness the power of the most nutrient rich, cancer-fighting foods. We recommend this book to everyone we know.